Our English sessions include writing, reading, spelling and/or phonics, handwriting and comprehension. These skills are taught during our daily English session, which approximately 1 hour and 30 minutes long, but will also be taught or revisited during other areas of the curriculum and sessions on the timetable. We currently follow the RWI (Read, Write Inc.) Scheme for phonics. We always try to link our writing to our half-termly or termly topic and usually to a rich text being read. A wide range of genres are covered, including fiction and non-fiction. 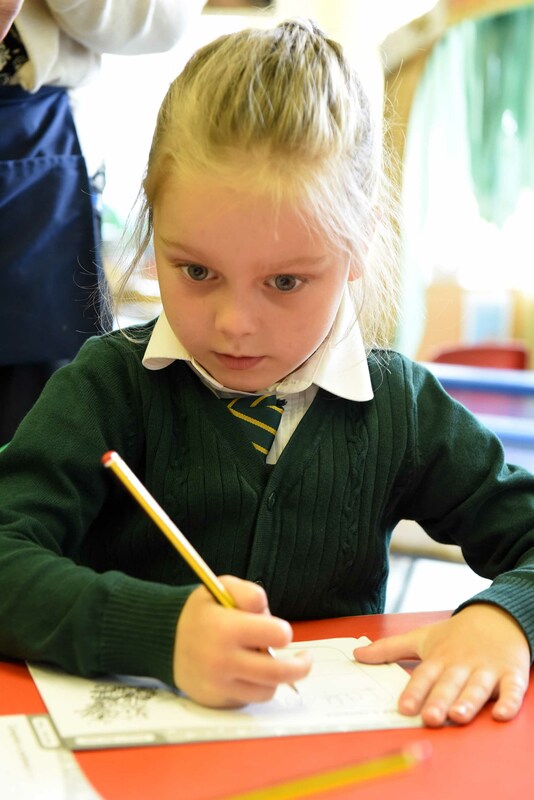 Teachers aim for children to complete between one and two pieces of extended writing a week, the definition of extended writing will vary depending on the ability and age of the children but it always provides children with an opportunity to embed any skills taught previously. Every half term the children plan and write independently, this piece of work is then leveled using our school writing targets and used to inform our teacher assessments.